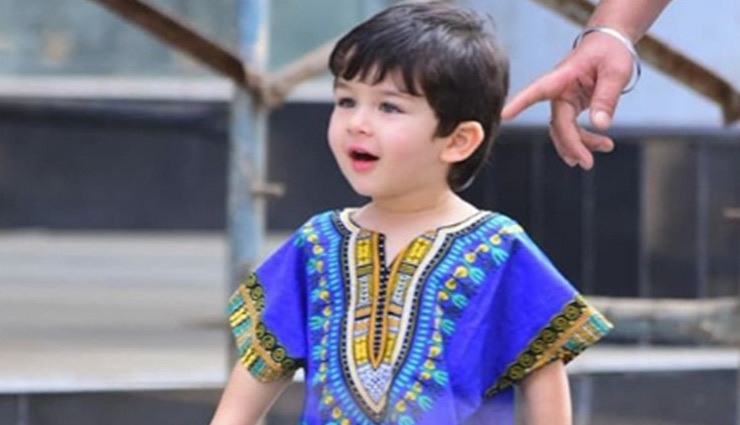 One of the the most adorable star kids of Bollywood Taimur Ali Khan can give any star a run for their money in style. The little one often makes internet frenzy through his charm and style. And today the little munchkin was spotted with daddy Saif and mommy Kareena on outing, however the highlight of the family outing was Taimur’s outfit. The little munchkin was wearing printed purple shirt and jeans paired with sunglasses, and he looked super adorable. Talking about Kareena, she looked radiant in a pair of spotless white ripped jeans and a printed black sweatshirt. She paired it up with pointy toe mule heels that made her look classy. Saif, on the other hand, looked sharp with his hair gelled back donning a pair of well-fitted denims and a mauve T-shirt. What caught our attention, however, was that all three of them wore chic sunglasses. Yes, even little Taimur. #TaimurAliKhan looking oh so adorable as he is snapped with #SaifAliKhan in the city.